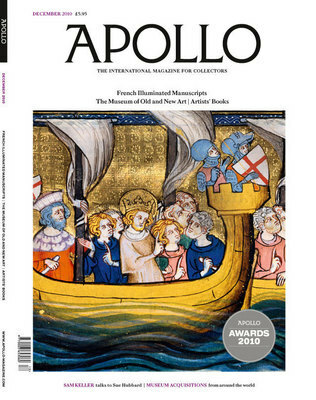 Every year, the prestigious, London-based Apollo Magazine honors five achievements, or achievers, in the international art world, including personality, book, exhibition and acquisition. This year, it asked me to write the article for the best new museum opening -- the expansion at the Museum of Fine Arts, Boston. To see who else won, read my blog entry or go to the Apollo website. The new Art of the Americas Wing at the Museum of Fine Arts, Boston, began with a big idea. Unlike so many museum expansions, it wasn't about erecting a signature piece of architecture to draw visitors but which might steal attention from the art inside. Nor was it simply about creating more space. Rogers also wanted a building that would allow the museum to present the story of American art, integrating North, Central and South American art from pre-history through to the late 20th century. Even in historically minded Boston, pre-World War II American art rarely draws crowds, but for Rogers devoting so much space to the Americas was a strategic choice that differentiates the museum. With the glass and granite four-storey wing (opened on 20 November), Rogers got everything he asked for. 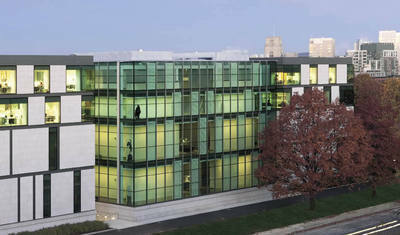 The building, which provides more than 50,000 square feet of space and 53 galleries, features a central spine flanked by two pavilions. Visitors experience a chronological display starting on the lower ground floor, with art dating from the first millennium BC, and concluding with 20th-century art on the uppermost level. The galleries contain more than 5,000 works of art, double the number previously on display. Masterpieces such as Thomas Sully's massive and rarely shown oil, The Passage of the Delaware (1819), which depicts George Washington on a white horse at the turning point of the American Revolution, have been brought out of storage and proudly displayed. With an eye on filling gaps in the collection, Rogers and Elliot Bostwick Davis, the wing's curator, have made over 150 acquisitions, worth around $10 million. The gallery walls change colour, from light grey to deep blue, and crimson-red damask to white. Among these, there is a space which Rogers calls 'a destination gallery' hung with works by John Singer Sargent (1856–1925), another for John Singleton Copley (1738–1815), a salon-style gallery dedicated to Americans and the 'Grand Tour', nine period rooms, a room full of abstract Expressionist works and another filled with 20th-century figurative art. To vary the rhythm, the museum has juxtaposed works in different media, placing furniture, textiles, musical instruments, costume and other objects alongside paintings and sculpture. There is room for temporary exhibitions in three galleries, while four of the galleries enable visitors to see behind the scenes to observe how curators collect, classify, research, conserve and display objects in the collections. Is it all too much? The museum considered this too. Visitors who prefer the 'short story' of American art can glean the main points by walking through the wing's central galleries. Those interested in the richer version can detour into side galleries. Coming towards the end of a tidal wave of museum expansions in America, the Boston project succeeds not least because it will undoubtedly transform how we think about and respond to American art.